DO YOU WANT TO BE SOMEBODY? 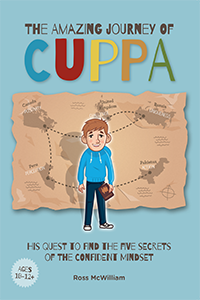 We incorporate fun ways to engage the audience such as mini drama, video and audio clips, opportunities to be part of the delivery, and live stage shows with audience interaction. We aim to introduce new learning whilst using existing appropriate knowledge from our regular research. We are also upskilling ourselves as we undertake professional training each year. The whole aim of what we do is to empower the client to make positive change. We will support and guide the client until independence is gained. 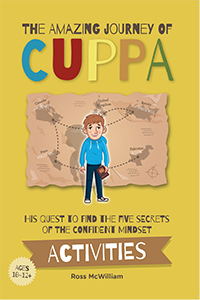 "These books enable children, teachers, and parents to work together so that each child can uncover their confidence." 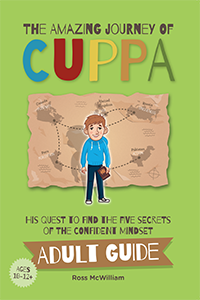 "Written by a leading children's motivational speaker and educationalist, these books will have positive effects for you and your child as you travel together on the CUPPA journey!"